The variety of modern and well equipped holiday rentals including the out-of-the-ordinary Safari Lodge. 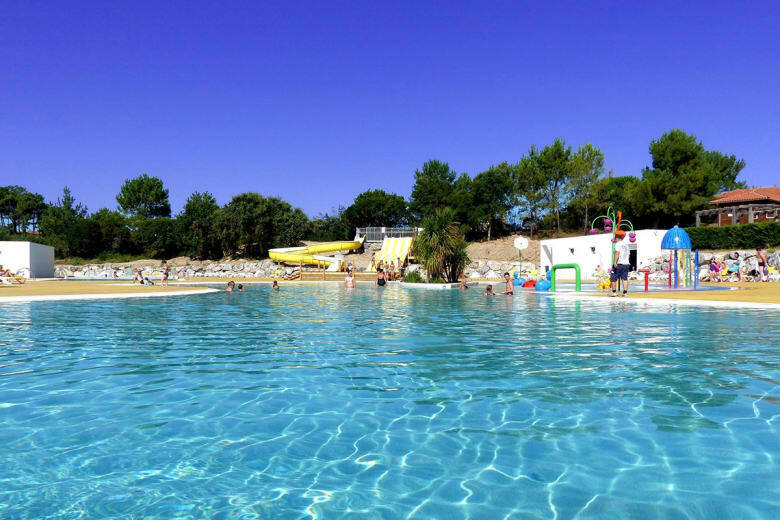 At the heart of the seaside resort of Mimizan Plage, in the Landes and less than a kilometre from the Atlantic Ocean, that the La Plage campsite club is located. Recently rated 4-star, this campsite, a member of the Campings Grand Sud group offers a variety of leading quality holiday rentals and facilities to spend a dream holiday on the Côte d’Argent (stretching from north of the Basque coast up to the Gironde estuary)..
On Mimizan Plage, the seaside resort of Mimizan, the Boulevard de l’Atlantique is one the town’s main thoroughfares. It goes the length and breadth of the village and enables you to rapidly access the beach and the forest. It is by this road that the La Plage campsite is located. 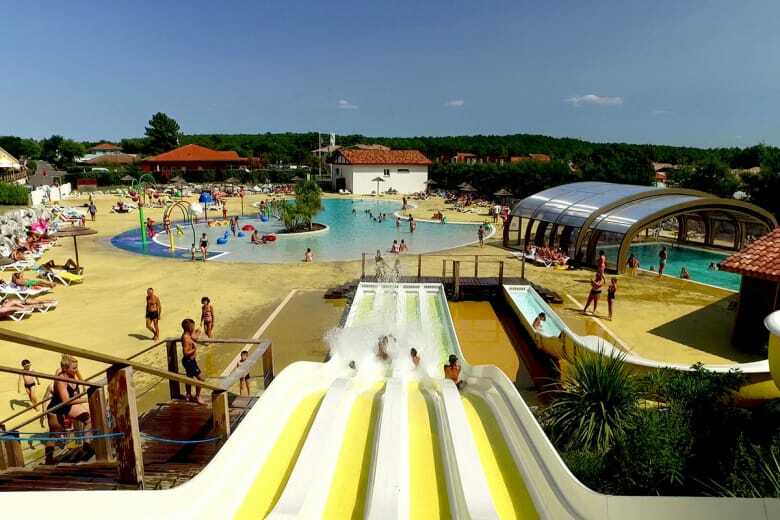 The campsite rated 4 star for the 2018 season, which is the best open-air hotel of this tourist village in the Landes region, is popular with families and lovers of water sports. Over around 15 hectares, this establishment offers its residents a wide choice of holiday rentals and pitches. The pitches are for the most part shaded, easily enabling the accommodation of campers with their tent, but also their caravan and any camper van. The holiday rentals, are divided into six different ranges including the Safari Lodges, chalets and mobile homes. The Safari Lodge enables the La Plage campsite to offer holidaymakers a luxury and original glamping range, with timber cabins having a terrace able to accommodate, dependent upon their surface area and configuration, 2 to 4 people. As regards services, on the campsite, holidaymakers have the opportunity to make the most of a snack bar – bar – restaurant and takeaway, a mini-market, a launderette and Wi-Fi network coverage across the entire campsite. There is an extra charge for access to the Internet network. The La Plage campsite is located in Mimizan Plage and shops and catering facilities in this commune are very quickly accessible on foot. Moreover, the closest hypermarket is barely 600 metres from the campsite. Quality facilities for the best of stays! 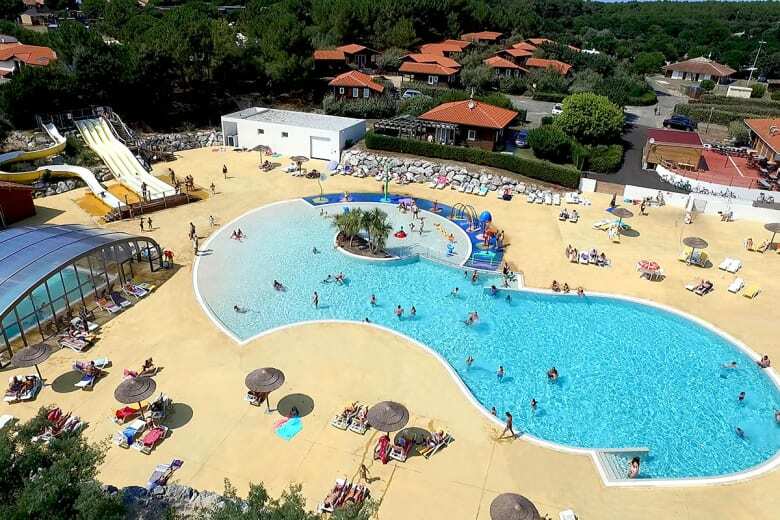 Over a number of years, numerous capital investments have enabled the La Plage campsite to move upmarket. This is, in particular, the case with the aquatic park, opened in 2017. A genuine temple of water play delights, this extends over a surface area of 1,000 m² and consists of an impressive lagoon pool with mild water, a paddling pool and a children’s play area, slides for thrill seekers’, as well as a balneotherapy area with a Jacuzzi. By the pools, a multitude of sunbeds enable those who wish to get a tan to watch their children have a great time! Children are particularly pampered in this open-air hotel in the Landes. In July and August, a mini-club is open for them and qualified and motivated activity leaders are on hand to entertain them using play and sports activities. Adults and younger age groups can also join the campsite’s surf school. Boards can be hired on-site and lessons are held throughout the summer, enabling holidaymakers to discover the joys and delights of surfing. 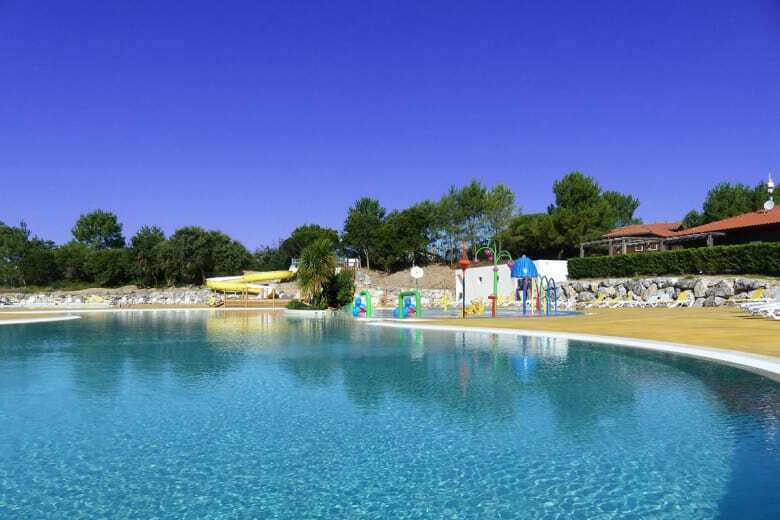 Amongst the other recreational and sports facilities on the La Plage campsite, there is a multi-sports ground, a climbing wall, ping-pong tables and a playground. Not far from the campsite, the impressive skate park on Mimizan Plage is open to everyone! In addition to the surfing lessons mentioned above, there are many other activities and entertainment on offer to holidaymakers during their stay at the La Plage campsite. Intended as much for youngsters as adults, they enable everyone to have a lovely holiday and to facilitate encounters. The convivial atmosphere continues into the evenings, which are both festive and lively. Lastly, from Mimizan, a multitude of tourist visits are possible. The Les Landes département is an Aquitaine tourism hub. From the Étang de Biscarrosse lake to the Écomusée de la Grand Lande in Marquèze, taking in the thermal spa town of Dax, holidaymakers are spoilt for choice, as to how to spend the time if they wish, for an afternoon, to get away from Mimizan!